The independent charity that looks after the Tower of London, Hampton Court Palace, the Banqueting House, Kensington Palace and Kew Palace. Historic Royal Palaces, the independent charity that looks after the Tower of London, Hampton Court Palace, the Banqueting House, Kensington Palace and Kew Palace. The new website has been designed and developed by Screen Pages, the e-commerce services company, using Magento. Historic Royal Palaces’ aim is to help everyone explore the story of how monarchs and people have shaped society, in some of the greatest palaces ever built. Each of the five royal palaces in its care has survived for hundreds of years. Although the palaces are owned by the Queen, Historic Royal Palaces receives no funding from the Government or the Crown and it depends on the support of visitors, members, donors, volunteers and sponsors. Historic Royal Palaces Enterprises Ltd is the trading arm of the charity, and all profits from retail sales are covenanted to the charity to enable them to continue to conserve these fabulous palaces for future generations. 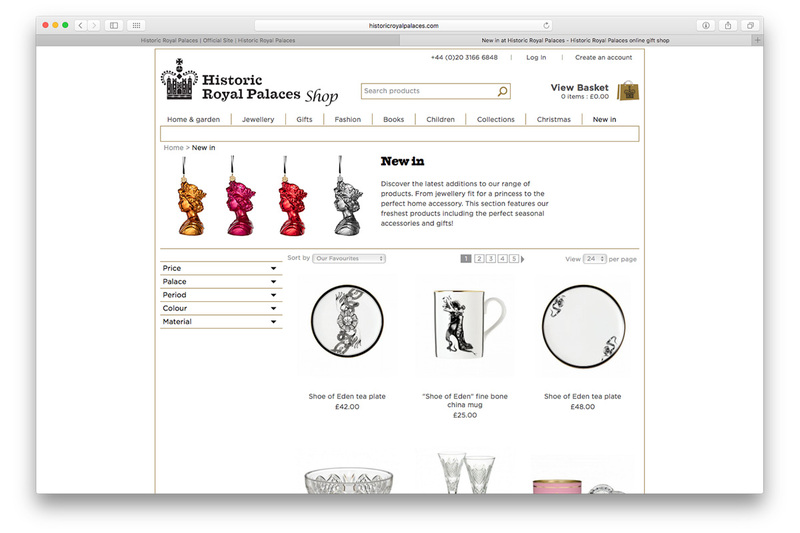 As well as a simple, clear design, consistent with the main Historic Royal Palaces website, the new site gives the customer a better and easier shopping experience through the ability to shop by theme (e.g. the Tudors, British icons and current exhibitions), individual palaces as well as by the more traditional product categories. The navigation has been designed to suit a wide range of products and to showcase them with large, clear photography. Filtered search and linked products also benefit the customers’ shopping journeys and overall experience. “The internet has emerged as an important trading channel for us over the past few years, and we view it as an additional shop in our portfolio. The new on-line shop provides us with the tools to communicate and develop relationships with our valued customers, both new and existing, as well as market our brand beyond the UK. We picked Screen Pages because of its e-commerce track record, its marketing and technical experience and its level of support.